What is good childhood development and nutrition? How can this be made possible and available for all children? These are deceptively simple questions and getting the answers wrong can make matters much worse. Worldwide around 159 million children under the age of five are stunted, in other words have an inadequate height for age. Stunting is a marker of a child who is at great risk of severe developmental challenges, of dying in childhood or surviving with potential to learn permanently impaired, and vulnerable to poor health throughout adult life. Poor health and nutrition experienced by a pregnant woman will affect her infant. Stunting represents the cumulated effects of intergenerational poverty, poor maternal health and nutrition, poor nutrition in infancy and childhood, and repeated episodes of illness and other non-nutritional insults that also affect growth in childhood. Poor health during pregnancy will not only increase the risk of a woman's child being stunted, but will impose greater developmental challenges upon her grandchildren. Childhood stunting thus carries its burden down a vicious intergenerational cycle. Stunting indicates that there has been sustained insult to the determinants of growth during the most critical periods of development in early life. "Critical" means that it may not be possible -- or wise -- to attempt to correct the problem after growth has been compromised. The best approach is to treat -- or even better -- prevent stunting in the first place. Once stunting has arisen substantial irreversible damage has already been done. Food is important to prevent stunting, but food alone will not solve the problem because a large proportion of stunting is caused by non-nutritional factors; put simply if you're sick you won't grow well regardless of how much food you're given. Emotional deprivation, and a poor psychosocial environment lacking in stimulation, and nurturing, can also stunt growth in infancy and childhood. The way forward lies in prevention, during "early life", the periods around conception, intrauterine life, and in infancy. The good news is that stunting, and the need to reduce it, has achieved increasing attention on the world stage. Nearly one in three children in low and middle-income countries is stunted, making clear the importance of measuring stunting to assess the impact of poverty and the change in the prevalence of stunting as a measure of progress in reducing poverty. The growth of children might reasonably be considered a far better metric than GDP for determining whether or not economic growth is inclusive, where targeted efforts to increase equity for the most vulnerable sectors of the population are needed, and for addressing the crucial relevance of child wellbeing to future population health and national economic prosperity. How might the prevalence of stunting be reduced? For a start, high-level leadership committed to addressing the issue at scale, and better ways of coordinating action globally, are essential. Intervention must start with adolescent girls. They must have access to education, healthcare and good nutrition so that as women they will go into pregnancy healthy, and have healthy babies who go on to become healthy adults. No child should starve, but the non-nutritional determinants of poor growth before pregnancy, during pregnancy and infancy cannot be ignored. Not investing in the health and wellbeing of infants, children, and young people, has long-term negative effects not only on the children, but also on the adults they will become, blighting their prospects for life, and limiting the contribution they are able to make to society and the national economy. Neglecting this problem, or tackling it in a poorly coordinated manner, will make matters worse, and is not only cruel, but short-sighted and reckless. 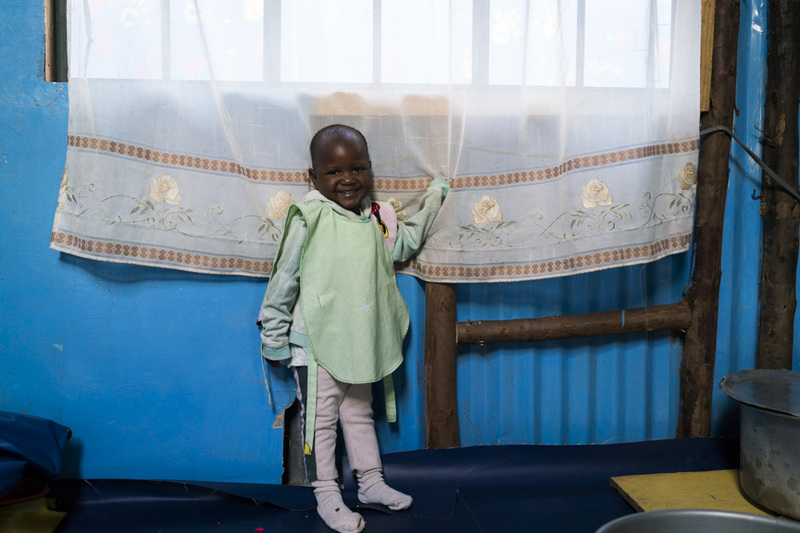 The problem of stunting in childhood isn't one that can be resolved with a quick fix, nor is it just an issue for healthcare. It needs long-term vision across generations, attention to securing the health of women before and during pregnancy, and giving infants and children not just food, but protection from illness, security, and love. There can be no better investment; the challenge is in securing the political will to bring about change. 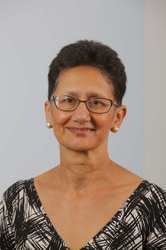 Neena Modi is Professor of Neonatal Medicine, Imperial College London, Consultant at Chelsea & Westminster Hospital, London, President of the UK Royal College of Paediatrics and Child Health, and immediate past-president of the UK Neonatal Society and Academic Paediatrics Association of Great Britain and Ireland. She leads a multidisciplinary neonatal research programme focused on the perinatal determinants of life-long health.